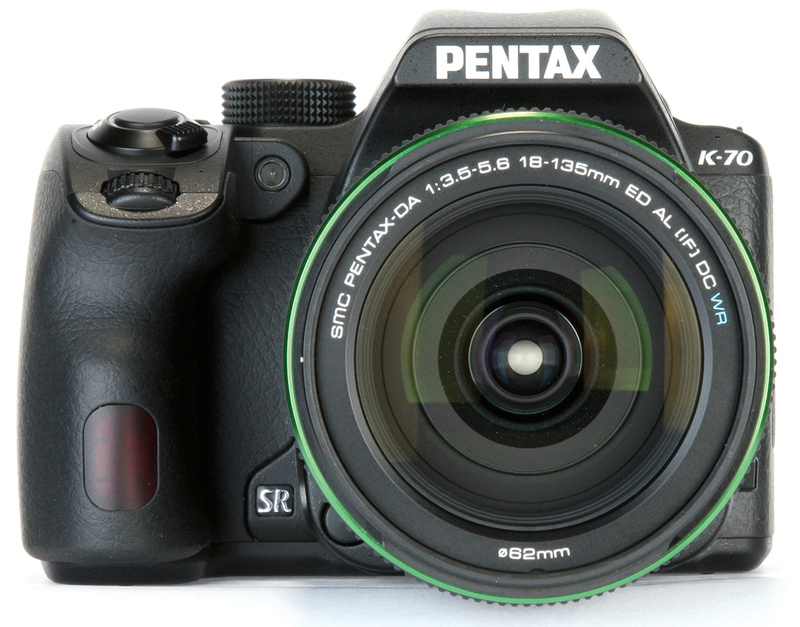 Pentax DSLRs traditionally offer serious value for money, and the K-70 very much follows suit. At a price point that places it in direct competition with the Nikon D5500 and Canon EOS 750D and 760D, it offers a very tempting feature set. It’s not as attractively styled, and its chunky grip may not feel as immediately comfortable in your hand, but this is more than made up for by its larger viewfinder, twin control dials and weather-resistant build, which make it much more pleasant and versatile to shoot with. The K-70’s key feature, though, has to be its in-body stabilisation system. This works with every single lens that can be used on the camera, and therefore a vast array of K-mount optics dating back to the mid-1970s. Crucially, this includes a range of lens types that aren’t available in optically stabilised versions for other systems. Not only is the in-body IS great for low-light shooting, but it also lets you use slow shutter speeds creatively for motion-blur effects, or stop down for extra depth of field without having to raise the ISO as much. Its associated features, such as the anti-aliasing simulator, Pixel Shift Resolution, and automatic horizon correction count as nice to have, too. The flip side is that it’s not such a great system for working with long telephoto lenses. If the K-70 has one weakness, it would be autofocus. It works absolutely fine with static subjects, but the more sophisticated systems on its rivals give them the edge with moving subjects. If you were planning to shoot a lot of sports, action or wildlife photography using telephoto lenses, then it’s probably not the best choice. The lack of a touchscreen is also worth noting, although this being a DSLR that works best when shooting with the optical viewfinder, I honestly didn’t miss it that much. Overall, the K-70 offers great value and a solid set of features in a compact body that should be easy to use for beginners. But equally, it will keep budding photographers happy for longer as their experience grows and they start to experiment with the more advanced features that it includes in abundance. For the price, the K-70 is hard to beat.